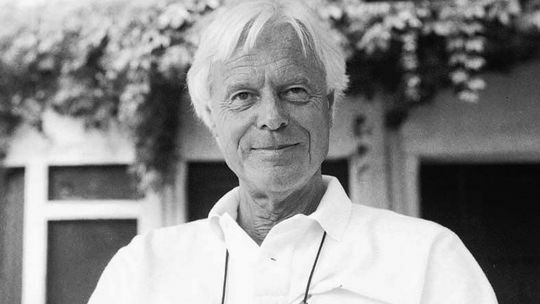 One of the great names of modern advertising, David Abbott, has just died. He wrote great ads for, among many others, Volvo, Sainsbury’s and the RSPCA. He was also the chap who created JR Hartley for the Yellow Pages campaign. His agency, Abbott Mead Vickers, was famed as a great place to work, both in terms of its creative output and the way it treated staff – rare atributes and even rarer as a combination. He helped make advertising a great place in which to work in the 1980s and 1990s. His agency even had a policy during the 89-93 recession, of no redundancies, which it kept to. As a young wannabe I once wrote to him and various other creative directors to try and secure a chance to show him my advertising portfolio. David Abbott was the only one who offered to meet. Most of the others didn’t even respond. A wonderful, charming man whose work was highly persuasive, always thoughtful and often witty. Above all, it was beautifully crafted, with real time and effort put into it. A far cry from today where copywriters regularly get asked to assemble hundreds of keyword-stuffed articles for peanuts. If you’re looking for a freelance copywriter in London, please contact me. This entry was posted in Advertising copywriting and tagged Abbott Mead Vickers, David Abbott. Bookmark the permalink.